Theresa May is on a two-day visit to Bahrain for the Gulf Cooperation Council Leaders Summit. The summit, an annual meeting of the six Gulf Cooperation Council states – Saudi Arabia, Bahrain, Kuwait, Oman, the United Arab Emirates and Qatar – is this year held in Manama, Bahrain. The Prime Minister was personally invited by King Hamad of Bahrain, who visited Downing Street in October to deliver the invitation. 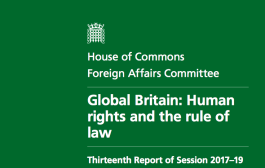 Downing Street issued a statement on Sunday, in which the Prime Minister made brief remarks to human rights. Yet, subsequent government press releases do not repeat the human rights language, instead highlighting the Prime Minister’s desire to “turbo-charge” trade relations with the Gulf. Her appearance in Bahrain has already proved controversial. Bahrain, a country rocked by Arab Spring protests in 2011, has continued to witness widescale human rights abuses, including the torture, arbitrary detention and unfair trials of pro-democracy protesters and activists. Sayed Ahmed Alwadaei, Director of Advocacy, Bahrain Institute for Rights and Democracy: “Theresa May talks about being the “partner of choice” for reform in the Gulf, but we’ve already seen what that means in Bahrain and Saudi Arabia where the UK has been involved for years. British engagement has meant managing repression instead of ending it, shielding the country from UN probes into its violations, and being silent on the cases of rights campaigners like Nabeel Rajab. 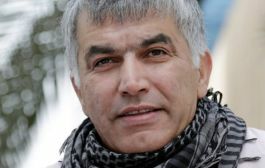 Nabeel Rajab, the leading Bahraini human rights defender, faces up to 16 years in prison on charges related to his free speech, the latest of which was brought against him after he wrote a letter published in the New York Times. His next trial date is 15 December. 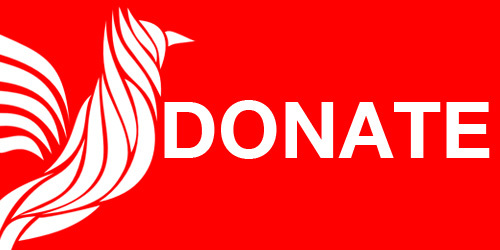 The UK has already provided over £4.5m worth of technical assistance to Bahrain since 2012. Yet, despite this dedicated support, human rights have deteriorated in the country, and international norms continue unmet. The UN Special Rapporteur on Torture, the top international expert on the crime, has been blocked repeatedly from entering Bahrain, and has criticised Britain for shielding Bahrain. There are eight Bahrainis sentenced to death, many of them convicted following confessions extracted under torture. On Sunday 4 December, an appeals court upheld the death sentence and nationality revocation of 3 individuals convicted on terror offences. The defendants allege torture. 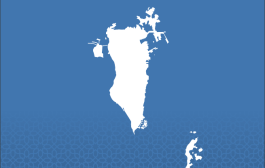 Mohammad Ramadan and Husain Moosa are two individuals sentenced to death in 2014, and who exhausted all legal appeals. Ramadan’s wife wrote a letter to Theresa May, published today here. Ramadan’s case was misled upon by Bahrain’s police ombudsman, who ignored complaints of torture submitted to them regarding his case, and who is trained by the the UK via the FCO. Human rights defenders are under significant threat. Nabeel Rajab, president of the Bahrain Center for Human Rights, faces up to 15 years in prison on charges related to his twitter activity. A further charge was brought against him in September in relation to a letter he wrote, published in the New York Times. His next trial hearing is 15 December. Leading human rights lawyer Mohammad Al Tajer is similarly facing charges, as are multiple human rights activists. Many of these activists have also faced travel bans, with over 25 banned from travel at various times since June 2016. Political society is under severe pressure. The village of Duraz, pop. 20,000, has been under continued police blockade since June 2016. Police have throttled all traffic in and out, allowing only residents with a Duraz address printed on their national IDs to enter. The internet goes down nightly in Duraz, between 7pm and 1am. These measures have severely affected normal family and business life, with families separated from seeing each other and businesses unable to attract customers. This amounts to a severe restriction of the right to free movement. In August, five UN experts called on Bahrain to end its “persecution of Shias”. The most senior Shia cleric, Sheikh Isa Qassim, was stripped of citizenship in June 2016, rendering him stateless. 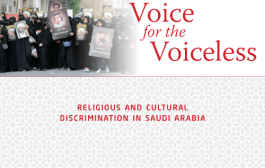 Over 70 Shia clerics have been interrogated and in some cases prosecuted for their criticism of religious freedoms violations. 9 Shia clerics have been sentenced to between 1 and 2 1/2 years for protesting.